The EU eco-label represents the EU countries label for green products. All products granted such label must comply with the criteria specified by the Directorate-General for Environment in the European Commission. Several EU countries have established executive bodies to assist companies to understand and implement these criteria in order to obtain this label for their products. In Denmark “EU eco-label Secretariat” was established at the Danish Environmental Protection Agency (DEPA) to carry out this task. 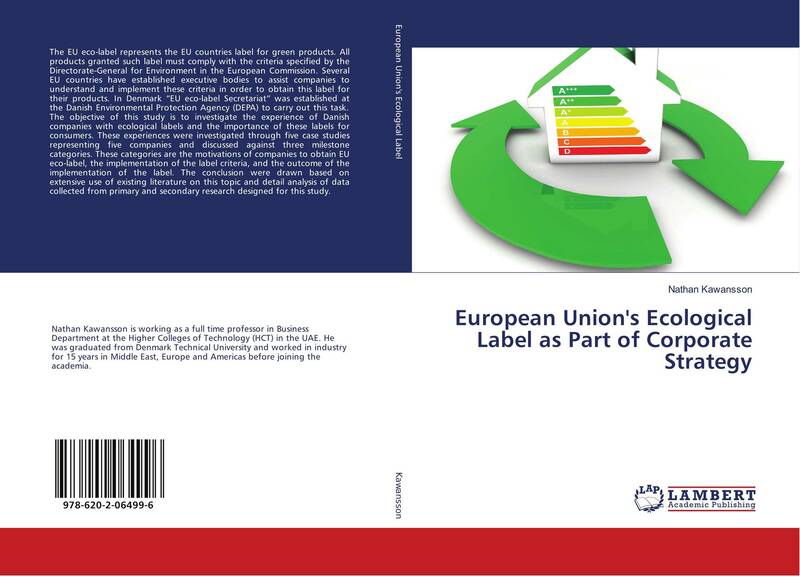 The objective of this study is to investigate the experience of Danish companies with ecological labels and the importance of these labels for consumers. These experiences were investigated through five case studies representing five companies and discussed against three milestone categories. These categories are the motivations of companies to obtain EU eco-label, the implementation of the label criteria, and the outcome of the implementation of the label. The conclusion were drawn based on extensive use of existing literature on this topic and detail analysis of data collected from primary and secondary research designed for this study.